Pure Jamaican Inspirational Christian/Gospel Classic. Songs written and sung by Karen Seaton. Karen Seaton, Christian/Gospel singer, composer and musician from the community of Carey Park, in the parish of Trelawny, Jamaica, W.I. Seaton started singing at a very early age almost inimitating her beloved mom, a very talented singer, who passed away in the year 2010. Her mom was a pioneer member and mother of the Seventh-day Adventist Church; a firm believer in the Three Angels Message of Revelation 14:6–12. Karen Seaton is a very talented artist with a very unique and melodious voice. She is loved and respected by every member of her community both young and old alike. She currently attends the Carey Park Seventh-day Adventist Church where she serves in various capacities including the Local Church Choir and Praise & Worship group. She is love by her church family for her God given talents and willingness to perform at local church and community events. She is a definitely a blessing to her church and the wider community. 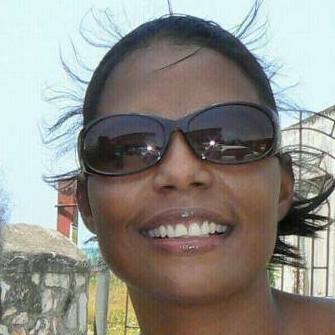 Karen Seaton is a Jamaican who enjoys singing to the top of the stratosphere and also composing Gospel songs. She comes from a family of singer/musicians, and has found another kind of musical family online. Songs on this album include “I Want to be There”, an experimental well composed piece, and “How Can I Forget” and excellent composition.